Treat Dad to a fun Angel Island adventure on Father’s Day, Sunday, June 17, 2018, and as one of the 1st 100 Dads on board, Dad will receive a Gift Certificate for a Whale Watching & Wildlife Tour Cruise under the Golden Gate Bridge for two people to enjoy during Angel Island Ferry’s 2018 Bay Cruise Season. Adventure awaits on an Angel Island Ferry Whale Watching & Wildlife Tour Cruise. 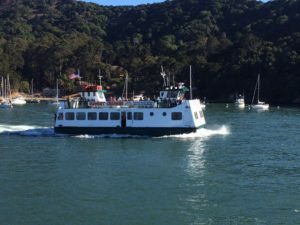 Angel Island Ferry Whale Watching & Wildlife Tour Cruises take place Saturdays from 9 a.m. – 12 p.m, beginning June 16, 2018, and run through Sept. 22, 2018. 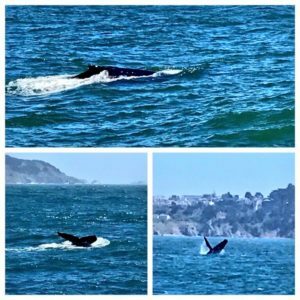 During this 3-hour Bay Cruise you’ll learn interesting facts and insights about whales frequenting our waters, while taking in iconic sights of San Francisco Bay. Hop on Angel Island -Tiburon Ferry in Tiburon, California. Angel Island Tiburon Ferry offers the most non-stop, direct ferries to Angel Island State Park from our Tiburon, California, Main Street dock. Click here for more info. on Saturday Whale Watching & Wildlife Tour Cruises. 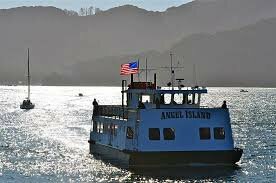 View all of Angel Island – Tiburon Ferry Bay Cruises including Sunset Cruises, Blue Angels Air Show Cruises and 4th of July Fireworks Cruise. Angel island, Angel Island Ferry, Angel Island State Park, Angel Island Tiburon Ferry, Bay Area day trips, Captain Maggie, father's day events, Father's day gift ideas, fathers day, Tiburon Ferry Schedule, whale watching cruise, whale watching sf.